This weekend was a brief peek into fall. It was cool in the morning and then the sun came up and it was the most glorious weather! The older boys had a sleepover at their grandma's and we got to have a quiet morning grabbing coffee and breakfast. It has been a long time since Andy and I got to really chat and hang out just us. I swear people in their 50's gravitate towards us and always engage in lengthy conversations. Perhaps, we have old souls. We met some very nice people on our dates and I always love how shocked people are when they learn that Wrennyn isn't our first - and that we have TWO older children! It is quite fun to see their reactions! I am the guest curator on sandgrens pinterest board "the chosen one" they gave me these clogs as a thank you - I am OBSESSED with them!!! I have my eyes on this pair and this pair next! Check out this beautiful gallery of lifestyle photos that a few of us believe the "sandgrens life"represents. 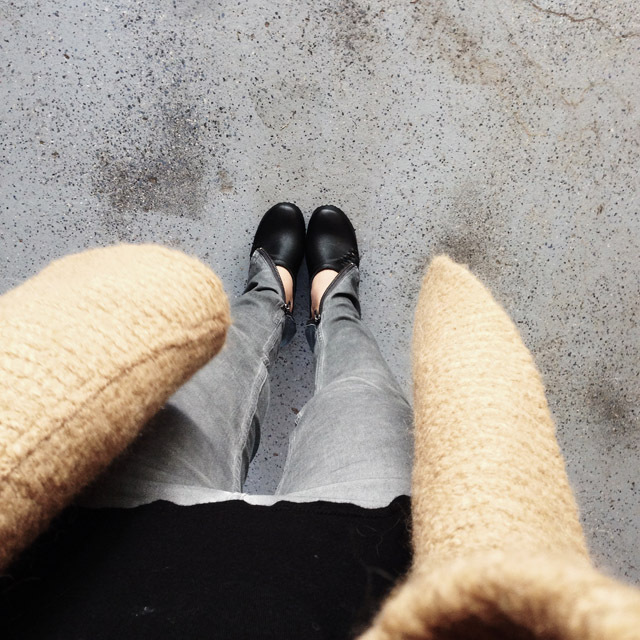 Thanks to this board I am all about clogs! LOVE THEM! can we be bff's and share clothes and stuff....no, but seriously, I love everything about this look! those clogs are awesome!! I'm loving these style posts you've been doing. keep it up mama!! 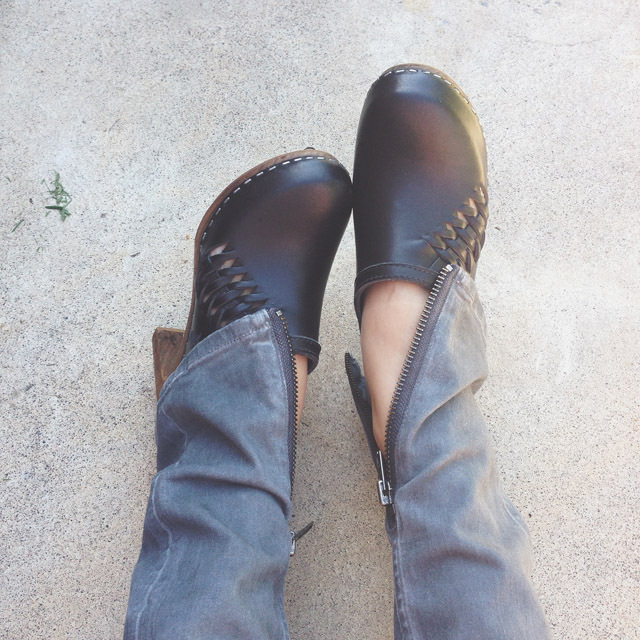 Wow, love the clogs and love how modern they look with zippered ankle pants and the slouchy sweater! simply savvy! HAHA you're too funny! I would totally share with you! Because of Jackie, Thank you! yeah I am totally shocked at how versatile these are! And shockingly comfortable for a heel! I am totally on the clog bandwagon now!